Kate Upton, managing consultant from Michael Page Marketing explores the challenges of changing sectors within the marketing industry and how to best position yourself for a smooth transition. This highlights that there are definitely opportunities for marketing professionals seeking a change within marketing and that experience in a different sector may even be beneficial. However, there will be variations between individual profiles and industries. When considering making this change, there are some key points to bear in mind. In order to add value to an organisation as a senior marketer, it is vital that you have a deep understanding of the audience you are targeting. While technical skills are transferable, quite often industry dynamics require specialist knowledge, for example, when selling medical devices or equipment is the primary business of a company. It is important not to overlook this when applying for a new job. 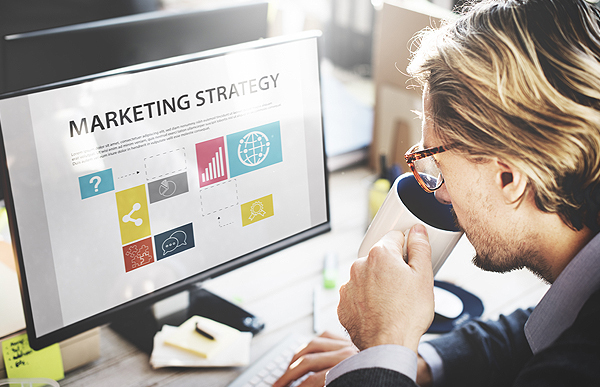 Marketing professionals are constantly having to demonstrate their value in a challenging market and must secure the buy-in of company directors and key stakeholders. Naturally this is easier to do if you already have a proven successful track record within a similar business and industry. Clients are naturally risk averse and appointing a senior marketer is a key hire. While hiring managers may want to bring in candidates with a diverse background, it could be considered a very risky decision to walk away from an applicant who knows the market inside out and brings a network of contacts with them. It is something I hear all the time and while it might seem like an obvious statement, marketing professionals have a whole host of transferable and technical skills within the discipline. The head of marketing for a travel company and the head of marketing for a financial services business, while operating in very different industries, will both be concerned with customer acquisition, retention and CRM. Campaign planning and analysis will often be very similar, so it is important to think holistically when applying for a new job, tailoring each application collaboratively with your recruitment consultant. This is another key area for consideration. Strong people management skills are absolutely crucial to the success of a marketing team. A good leader who can motivate and upskill operational team members is considered to be a valuable asset, regardless of their sector experience. Marketers often work with partner businesses or focus on a particular vertical market. If your current role has given you exposure to a different kind of business then this is a key point to highlight when looking for a new role. For example, the head of marketing for a law firm who specialises in public sector clients may well find themselves able to move into a marketing job within local government or the civil service. Clients will often be more flexible as to the exact background of a candidate when they are looking for an immediate start, therefore if you happen to find yourself available at short notice this can be a good opportunity to try something outside of your comfort zone and thus broaden your marketing CV. It is absolutely possible to move into a different industry but it is important to be realistic as to what this might look like. While it might be unlikely that an established financial services marketing manager will secure a job within a blue-chip FMCG business in one move, it might be quite feasible to move into travel or leisure. Sometimes it requires a tactical long-term career plan in order to make a significant change of direction. We can provide advice on how to best navigate your career path within marketing and make the move into a different sector. To discuss your career options or for any CV advice, please get in touch for a confidential conversation.